Went to the gym today at my lunch hour (or two) and coming out I thought I was hallucinating. Could it be? I thought these had all died out years ago! And in such great shape! 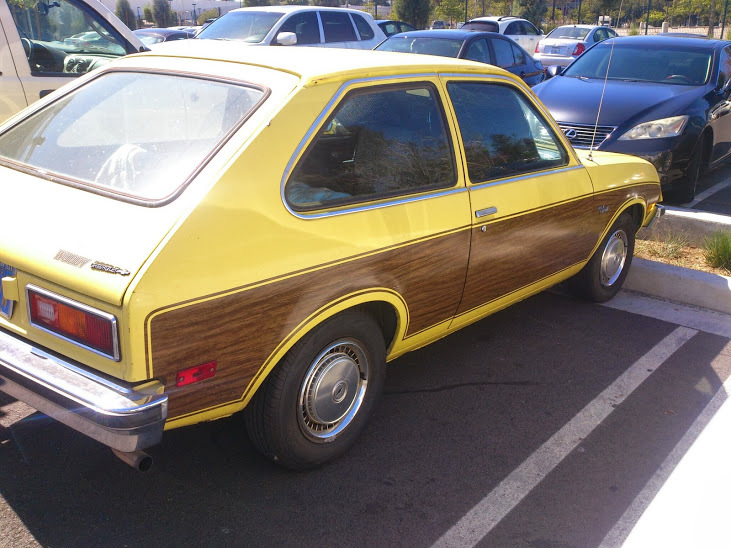 Surely not just the nicest one with wood grain on its flanks, but one of the nicest ones left, period. Even the interior is clean. Unfortunately the 25 year old repair to the driver side fender is no longer the same color as the faded 35 year old rest of the car. 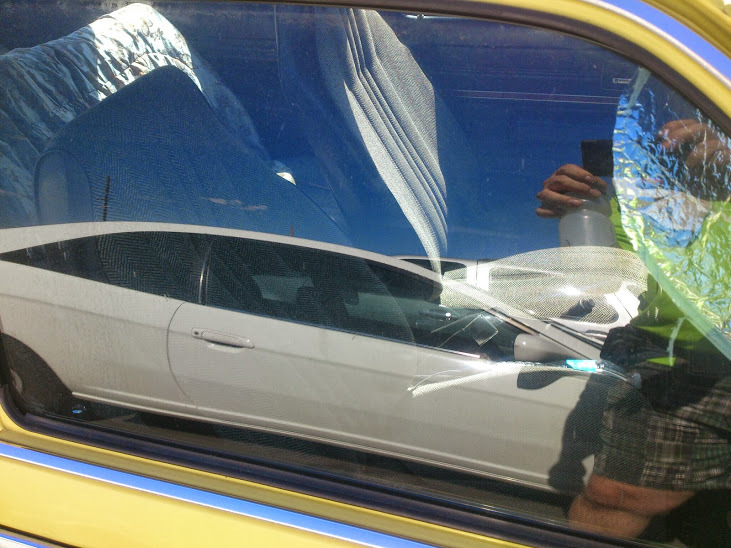 And it looks like the passenger side has been a little banged up recently. 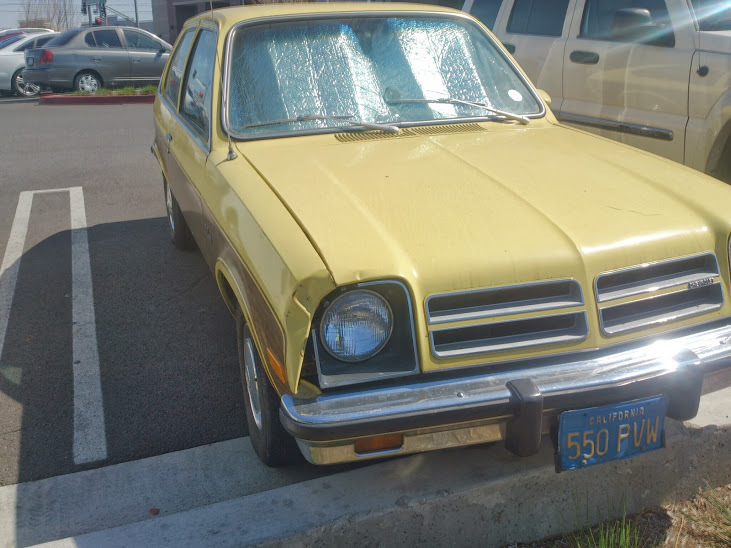 You know, if Haggerty Insurance is going to keep track of nearly extinct cars, they really ought to but a bounty on finding them in the wild, don’t you think? 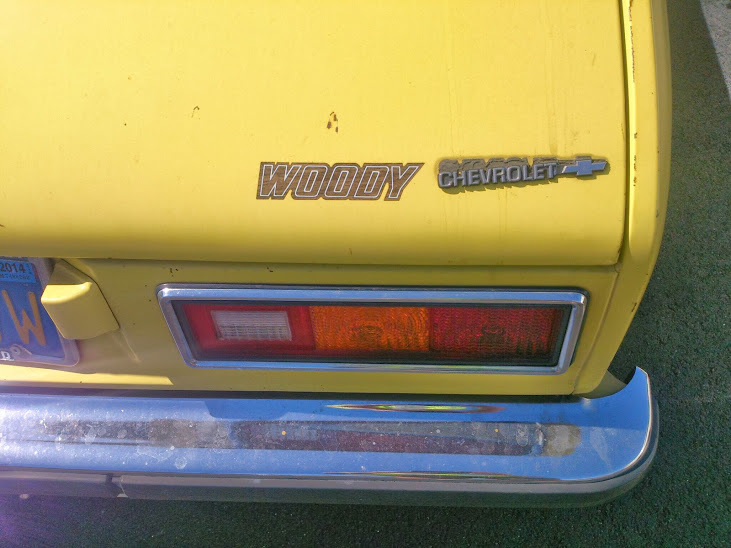 Forwarding this on to the Secret Society of the Simulated Woodie.